Here we describe how to use SMSEagle for ManageEngine ServiceDesk Plus SMS notificaitons. Create a new user in your SMSEagle with access level “User”. 4. 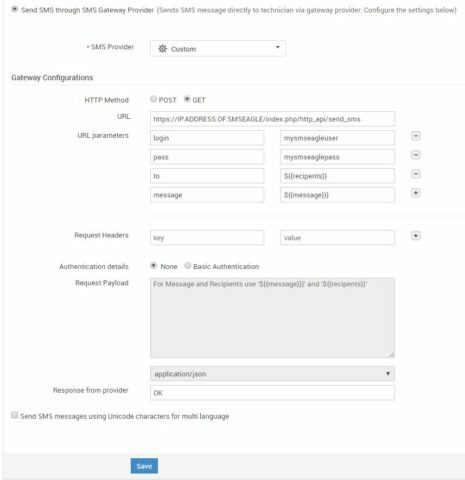 Configure the Technician Mobile Numbers for sending SMS notifications. Also, ensure to prefix the proper country code in Mobile field. This is accessible from Admin >> Users >> Technicians >> Technician Details. 5. SMS Messages can be customized in Notification Rules > SMS Templates.